Combining the latest mobile and app technology with ergonomically designed keypads and joysticks, Synectics Control Solutions have been engineered with the surveillance operator in mind. Ranging from the comprehensive EX300 Control Suite, which delivers significant efficiency savings compared to traditional keyboards, to the user-friendly EX100 Control Keyboard, our solutions give operators new levels of flexibility and performance. Offering wide-ranging, third-party integration available in Synergy-based solutions, this durable, high-performance keyboard meets the most stringent demands of a CCTV control environment. 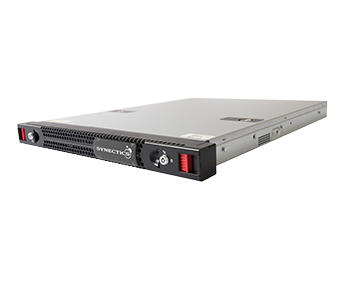 Its operational flexibility, delivered through Synergy Client workstation control, and standalone control modes, makes it suitable for all surveillance applications, from small to enterprise-class. 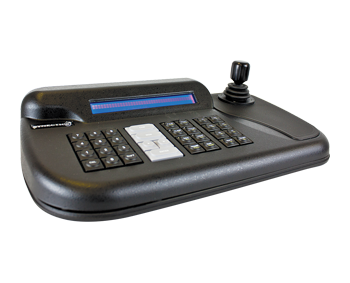 The EX250 Keyboard delivers precise control of CCTV systems. A blue backlit LCD display shows the system status, while all core operational functions are integrated into the full-travel keypad, including camera zoom, focus, iris, wash, wipe, auxiliary, tours, and presets. The ‘twist zoom’ contactless joystick enables swift, intuitive video review. Offering compatibility with an unparalleled number of third-party products, the ergonomically designed EX250 Keyboard fits naturally into an existing control room setup, with standalone control including TV Network Protocol (TVNP) integration. Together with seamless control of Synergy Client workstations, including video, alarms, display walls, and macro commands, this industrial-standard keyboard provides the ultimate flexibility in systems control. 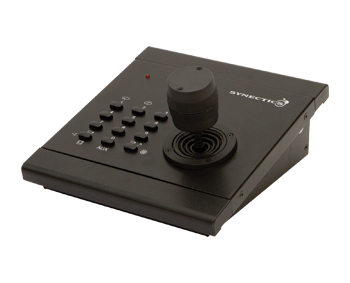 Featuring just 12 keys and a three-axis joystick, the Synectics EX100 Control Keyboard is a plug-and-play device that delivers easy selection and intuitive control of cameras. Its compact design and choice of desk or panel mounting enable it to fit neatly into control room environments where space is at a premium. The Synectics EX100 Control Keyboard is a compact CCTV controller. 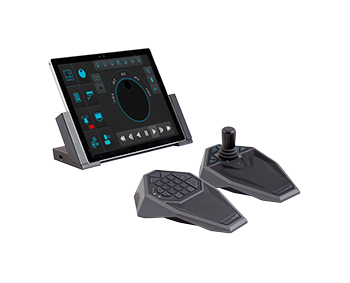 Its minimalist design, including just 12 keys and a three-axis joystick, provides control room operators with quick and intuitive access to the functions they need – such as wash, wipe, PTZ control, and camera selection – without cluttering their workspace. The model’s USB connector delivers effortless plug-and-play functionality, with no system configuration or dedicated power supply required.The choice of desk or panel mounting makes it well-suited for installation in a variety of confined spaces, including gatehouses, offshore platforms, and vessels.